Mobile apps today are fundamentally changing the way businesses, customers, and the world is interacting with technology. Apps are a simple way to provide crucial business information quickly and easily to customers, increasing customer satisfaction, communication, and engagement. Whether your mobile app is for your business, is built to increase your business efficiency, or is designed to engage customers, POSH Media has the expertise and ability to deliver and implement a full mobile solution. 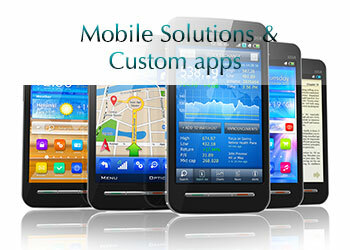 There’s no doubt that apps drive your brand and differentiate your business. Mobilizing your business by designing an app improves access to your business and your business data, all while increasing customer interaction and satisfaction.